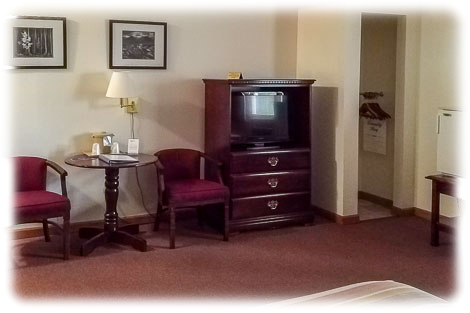 Here at Bayside Inn & Marina, we pride ourselves in being able to offer pleasant, comfortable accommodations in a variety of settings. 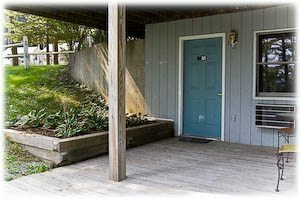 Besides our Cottages, we have two floors of motel rooms (one with lakeview balconies), and we have several rooms available in our main Inn. Furthermore, there are a few of what we call "Extra Rooms" - rooms tucked in out-of-the way spots on the grounds, some that are very convenient for expanding the space you may already have booked in a cottage. And all this is set in a peaceful, wooded lakeside setting with picnic areas and gazebos at our small swimming beach. Canoes and kayaks are available free of charge to our guests. 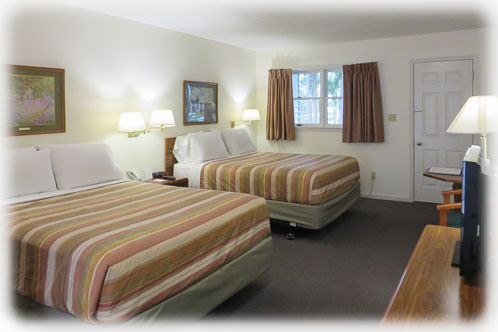 All our motel rooms are comfortable and spotlessly clean. Old world charm is the tone of our Inn rooms. 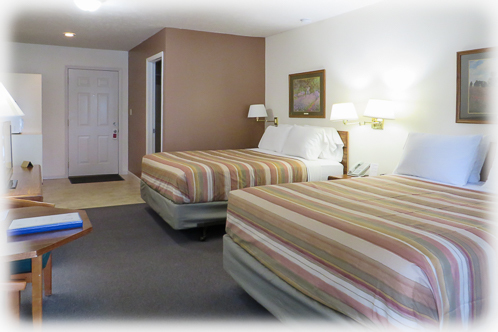 Several of our "Extra" rooms are tucked away in secluded spots on our grounds. Rates vary depending on season and length of stay. For full up-to-date information, please go to our Rates Page. And make sure to look over Our Policies before booking a room.